Deny it all you wan't but what they say is true: Everyone really does have a “type.” And no, that “type” doesn’t always pertain to dating — there’s a way to be choosy in life as well and that means romantically and platonically. If you think about it, it’s just a matter of meshing personalities, really. Often times, even if you’re different, you can compliment the other person. Because, you know how they say opposites attract? Well, it’s sorta, kinda totally true. Now, if you’re a fan of The Voice you know this method of side-taking very well, because the contestants have to sort themselves into groups based on teams. And ironically, as fans, we do the same. Unfortunately, there’s no sorting hat like in Harry Potter, nor is there any sort of wizardry or magic involved, unless you consider that everything these judges touch basically turns to gold. But with strong, opinionated people such as Christina Aguilera, Pharrell, Blake Shelton, and Adam Levine, you’re sort of forced to pick a team even though you’re not the one being mentored. So, if you think of it that way, which one are you? Who do you always feel yourself gravitating toward and what exactly does your team say about you? Well, let’s analyze this, shall we? People often misjudge you upon first meeting you. Because, like Levine, you're a down low good guy. You have a lot of faith in people's abilities and talents. You have (or are drawn to) natural born charisma. An aversion and yet a strange attraction to all things Blake Shelton. You're a little rough around the edges, but man, are you charming. 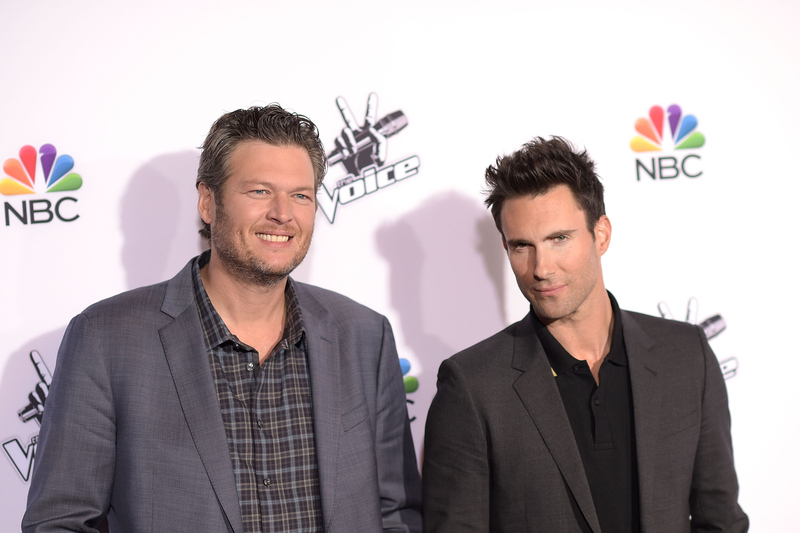 You have an aversion yet a strange attraction to all things Adam Levine. You're self-assured and confident, but people may also see you as a bit cocky. You appreciate a rugged sort of beauty. You believe that if it ain't broke, don't fix it. Because ya know, four wins in the bag means you've got a pretty good system going. You're sorta set in your ways, but it works for you. You are a diva. That's a good thing. Own it. You know what you want and are a clear, distinct planner. You gravitate towards powerhouse voices and singers who get to their "emotional truths." You don't take anyone's crap. You're a perfectionist, and everyone knows that perfectionism means that you hold yourself and others to a high standard. As he's said of himself, you value uniqueness. You really do understand The Perks of Being a Wallflower. You know being powerful doesn't mean being loud. You're a fairly chill person. A downside to being this zen means that you can appear misleadingly disinterested.